While I’m moving and getting settled in our new state of Indiana, I asked some of my wonderful friends – all Texas homeschool moms – to share their favorite books of the school year with me. 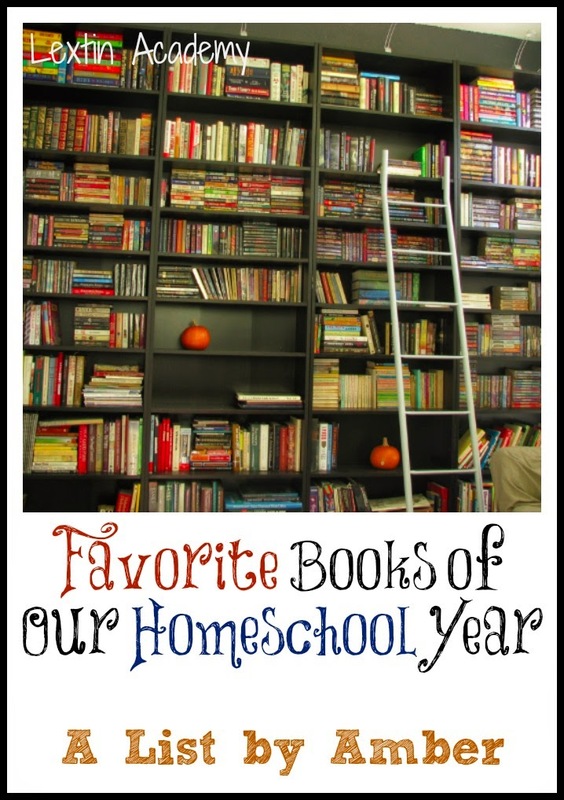 Enjoy the lists and hopefully they will provide inspiration for summer reading or for book choices for the upcoming homeschool year. This list is from my friend Amber who was one of the first people I met when we moved to our second Texas city. She is my feisty and competitive friend who just might take you out if you beat her in a board game. She’s the homeschool mom of 4 kids, ages 11, 9, 6, and 5. Amber has homeschooled her kids from the beginning and loves homeschooling for the flexibility that it provides for her family. She enjoys watching Netflix and board games (but only if she’s winning). She also blogs about their food allergies at her blog Let’s Not Be Rash. My preschooler loves Dr. Suess. Is there really a preschooler that doesn’t? The fun rhymes and silly words are what makes this a favorite of hers. This simple story about a mouse who does more than meets theh eye, captivates my kids each adn every time we read it. I love how the Spanish accent of this Siamese cat turned chihuahua is phonetically spelled out in the words of this book. It makes it a super fun read aloud. I’m not sure who loves it more…me or my kids. My 6-year-old son gets a kick out of the stories in this book every time I read them. He loves the silly voices I use for Frog and Toad. If you’d have asked me what our favorite books were last year (or the several years before that), I would have screamed JUNIE B. JONES! My 2 oldest girls have loved those books so much. They’ve read them all, and this year my 9-year-old set out to find something that compared. This fit the bill. She loved reading about 8-year-old Ruby Lu and all her kooky adventures. There’s no way we could pick just one. My 9-year-old daughter is completely into the whole “American Girl” world right now. She brings her doll Kit with her everywhere, and has made her way through almost the entire series of books. I love that they are mostly historical fiction! If you have any animal lovers in our house, they’ll love the Humphrey book series about this cute little hamster. My kids loved it so much, they named our own hamster Humphrey! My 11-year-old just finished the entire series this year. When my 9-year-old asked to read them, I was reluctant at first, but after agreeing, she dove right in and hasn’t looked back. I don’t think there has been a single book series to date that has had them more enamored than Harry Potter. We are in the middle of reading this series as our family read aloud, and so far we are loving it. I can’t say there are too many books that hold the attention of my 11-year-old all the way down to my 5-year-old. I think this picture is a slightly better representation of the the personalities of Amber and her 4 students….